Mixed content errors occur when a web page is initially secured by SSL but it contains both secure HTTPS and non secure HTTP content (such as images, links, videos, scripts, style sheets). This browser error will cause degradation in your site performance, security issues and would affect the user experience of your blog. 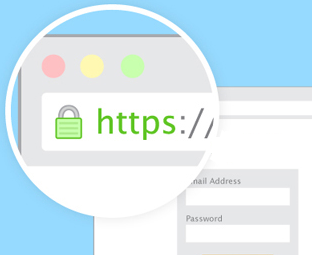 Open your browse (we recommend Google Chrome), visit your blog using HTTPS protocol i.e. https://<yoursite>.blogspot.com. Now in the console look for mixed content errors similar to the one we have below. Now make a list of unsecured URLs that you have encountered. You can visit many other pages on your Blog to get more mixed content errors. It means that mixed content errors is appearing on multiple pages and is most probably caused by either your template or gadgets, follow below instructions to remove them. Before saving, verify if each like is available over HTTPS by opening that linking into a new window or tab of your browser. If both HTTP and HTTPS links are giving you the same results, then you are good to click Save Template. This means that mixed content errors are in the source code of one of your posts or pages that you need to edit from the blogger post editor. Go to Blogger Dashboard >> select any of your post or page and press Edit link. Verify each HTTPS link by opening it in a new browser window to see if the content matches non HTTPS link. After the verification, click Update to save the post or page. Blogger has announced on 19th April 2016, that they have an update to the Blogger post editor to help with mixed content. Which means you can fix mixed content in just one click on your posts and pages. Edit a post, revert to HTML Tab and press Update. If the editor detects any errors they will be shown above the editor, along with the option to fix the errors found. After fixing the errors, again press the Update button. We hope this tutorial has helped all blogspot.com users in removing all mixed content error from your different posts and pages in blogger. This method can be applied to custom domains as well, if your domain has an SSL certificate. Let us know if you have a better way of fixing these errors in the comment below. You can also share our content on Facebook, Twitter or Google+. Valuable information. To create blog it has many facility. I read this article properly and learn Mix Content Errors. Thanks sharing this article. Thank for you liking our efforts. I'm trying to follow the update at the end of the post, but I cn't see where the 'Update' button is in blogger. Can you clarify where this button is please?